At Jiffy Auto Glass we back up every job with our Lifetime Limited Auto Glass Warranty. Jiffy Auto Glass warrants installation of new automotive glass to be free from defects in material and workmanship upon delivery, subject to this limited warranty. Auto glass installation defects such as wind and water leaks and loose moldings will be repaired or replaced at no cost to you. This limited warranty is in effect for as long as you own your vehicle. To make a claim under this limited warranty, you must present your invoice as proof of auto glass repair or replacement by Jiffy Auto Glass. This limited warranty does NOT cover leakage or stress cracks caused by pre-existing rust or structural damage on your vehicle or other damage caused by vandalism or impact with foreign objects. If Jiffy Auto Glass has made chip repairs to your auto glass and you are not satisfied with the repair, Jiffy Auto Glass will credit the cost of the chip repair toward replacement of the auto glass. 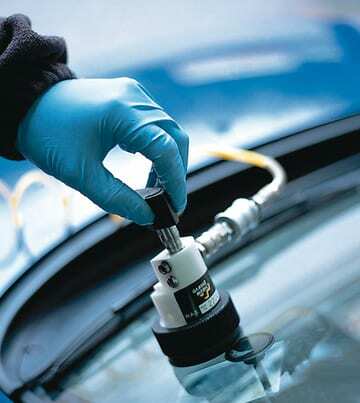 REPAIR OR REPLACEMENT OF YOUR WINDSHIELD AS PROVIDED UNDER THIS LIMITED WARRANTY IS YOUR EXCLUSIVE REMEDY. This exclusive remedy will not be deemed to have failed of its essential purpose so long as Jiffy Auto Glass is willing and able to repair or replace the auto glass installed. THIS LIMITED WARRANTY IS IN LIEU OF ALL OTHER WARRANTIES, EXPRESSED OR IMPLIED, STATUTORY OR OTHERWISE, INCLUDING, WITHOUT LIMITATION, WARRANTIES OF MERCHANTABILITY AND FITNESS FOR A PARTICULAR USE. Jiffy Auto Glass makes no other warranties of any kind and any repair or attempt to repair the automotive glass by anyone other than Jiffy Auto Glass automatically voids this limited warranty. Any oral or written statement concerning the automotive glass install inconsistent with this limited warranty shall be of no force.